My daughters and I all love sunflowers. 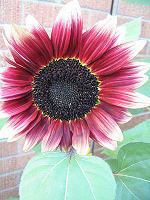 We enjoy looking at items at the store with sunflowers on them and we love to grow sunflowers in the summer. 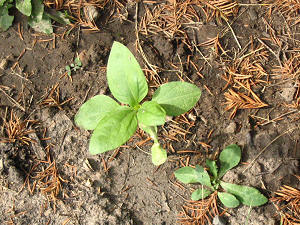 We can't wait until it is warm enough out to plant new seeds! 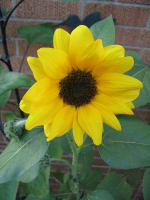 It is fun to watch the birds eat the sunflower seeds at the end of the summer! I have been having a blast watching the birds at my feeder lately. We have seen mourning doves, black-capped chickadees, house finches, juncos, common redpolls, a red-winged blackbird, and lots of sparrows. On a rare occasion, we get a cardinal, but I haven't seen one in a while. The chickadees usually grab a seed and fly away to the safety of the bushes or the big spruce tree to eat it, but twice this last week, I have seen a chickadee spend a long at the feeder, grooming and looking for just the right seed. It has been fun! Another thing I have found out, is that goldfinches are picky. They will not come to my yard, unless I have thistle seed our for them! So, I guess they taught me! I almost always have thistle seed out for them, since they are so pretty! 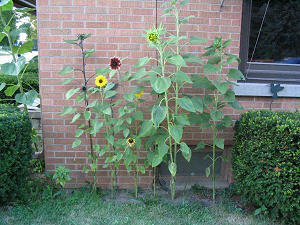 Mammoth sunflowers 7-7-05 Planted in June. They are starting to get big now! It's really cool! 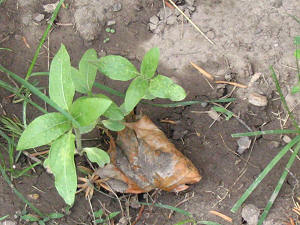 These are short sunflowers. They will only get about 2-3 feet tall! I love watching sunflowers grow! Can you make them bloom? Background made by Dawn Klein from photo taken by Gary Klein © 1999. 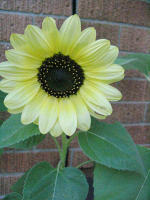 The flower is a Lemon Queen sunflower! May not be downloaded. This page last updated on August 19, 2006 5:29 PM .